I played a lot of Skyrim in 2012, and then slightly less in 2013. I’ve been through the game four times, equalling around 250 hours played. I rinsed the primary quest lines, squeezed every drop I could out of the three DLC offerings, and spent a good few hours simply wandering around the game world, getting into random adventures with dragons, trolls and bandits. I only stopped playing when I upgraded to Xbox One and packed my reliable old 360 off to the Jefferson’s farm, where it could live out its last days frolicking in the green fields, chasing Wiis and PSPs. Coming back to it again, almost 3 years since I last sallied forth into Tamriel’s frozen north, I was almost disappointed by my own recollections. Skyrim is one of those games I’ve put on a pedestal, indelible, infallible, perfect. I remember the bugs, of course – who could not? – but they were always minor visual things for me, none of the game-breaking reversing-dragon nonsense that plagued the PS3 release. What I remembered most was the sense of freedom, the awe-inspiring vistas, the incredible environments. What I forgot was that Skyrim is 5 years old, and all the volumetric god rays and dynamic depth of field wizardry isn’t going to change that. I was perhaps expecting too much, but when I fired up the Special Edition and the game was still a little creaky, the character models still ugly and the opening area depressingly brown, I wasn’t overly impressed by the remaster. Thankfully I gave it a chance to wow me – and it wasn’t long before it did. 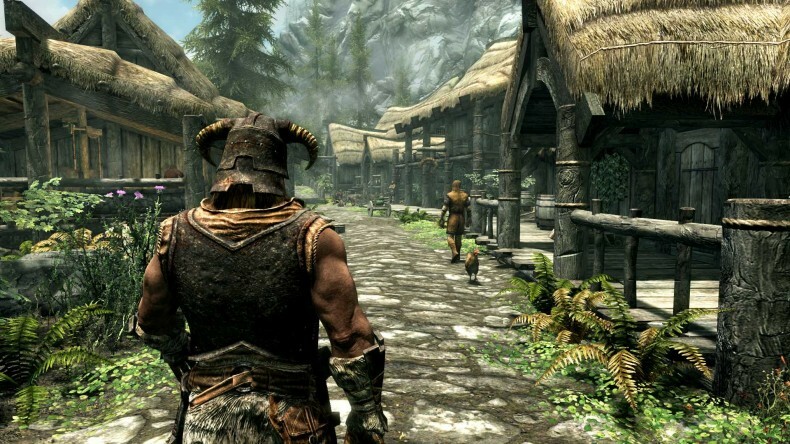 After your initial wagon ride and subsequent escape from the executioner’s block – thanks to a well-timed dragon attack – you’re let out into the world, given a loose path to follow and basically left to your own devices in your quest to become the Dovahkiin of legend. 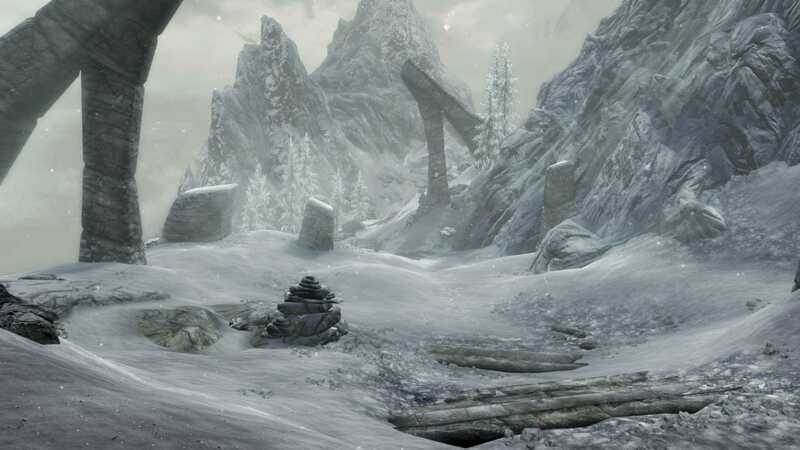 Being an old hand I immediately made my way to the nearby village of Riverwood, picked up the Golden Claw quest and hit Bleak Falls Barrow, a subterranean warren filled with bandits and dead Draugr where you find your first Dragon Shout. Playing a sneaky thief with a longbow and daggers, I was drawn to the shadows, and so I noticed the lighting straight away. Flickering flames cough up swirling embers and cast deep shadows against the cave walls, while the improved textures sharpen existing detail rather than re-skin environments completely. Ascending from the tomb was even more impressive, as I had lingered below ground long enough for it to be sunset by the time I emerged, two levels stronger and armed for bear, to watch the sun sink slowly into the distant mountains. The draw distance is greater, and those damn god rays are worth every penny. It’s a shame that more hasn’t been done, for whatever reason, to improve the overall performance. Characters still slide around like they’re on skates, jumping in a river doesn’t make you wet, the AI is still incredibly shaky, and yes, it’s still glitchy. Dead bodies ragdoll into weird positions, there’s occasional stuttering, and clipping is still a problem. But it’s certainly no worse than it ever was, and a smoother frame rate helps – though it’s still not optimised for 60fps. It runs better, though, which is probably all most people are hoping for. All three DLC packs are included in the remaster, so you can become a vampire or werewolf, hunt down the Dragon Priests or just build a huge mansion by the lakeside if you choose, more or less right off the bat – though you’ll be begging, stealing or borrowing the building materials for a while. It’s worth making a spare character just to play with the mods (they disable your achievements or trophies, see? ), as there are some really cool ones. A lot of the mods are silly, adding buxom wenches to taverns, for example, while some add cosmetic bonuses like craftable cloaks, belt-tied quivers and new armour sets – one even adds a pet tiger as a companion. A handful are huge, rewriting the skill tree, adding an entire new school of magic, new areas and epic questlines. 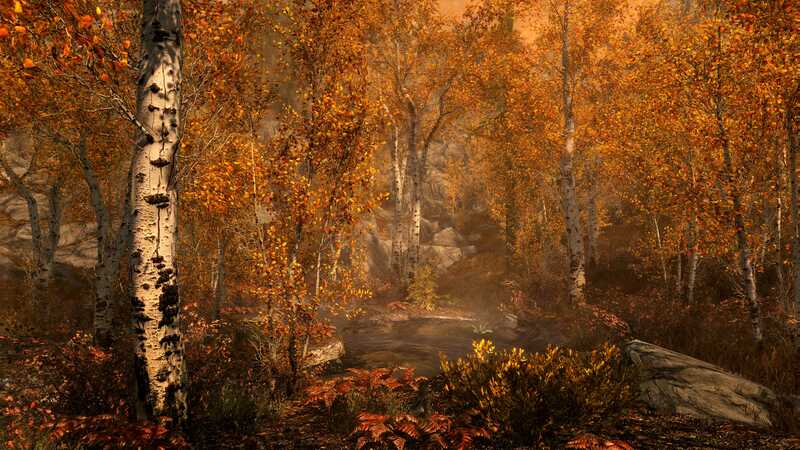 If you somehow manage to exhaust Skyrim, there’s still much more to discover in the Mods panel. They can be glitchy though, or cause the game to act in strange and unexpected ways, some forcing a high number of crashes or bugs and generally scuppering the performance. Still, they are well worth playing around with. It seems almost redundant to say it, but if you love Skyrim, then this is an essential purchase. It’s been long enough that you might have forgotten some of the smaller details and less significant events, and rediscovering the world with its enhanced textures, volumetric god rays (sorry, but that wins the 2016 Award for Most Hyperbolic Marketing Buzz-term) and improved draw distance feels fresh again, even if it’s not as awe-inspiring as it once was. To newcomers I would counsel caution, not because you’re not going to be impressed – if you like vast, open-world fantasy RPGs then it’s a no-brainer – but because this is a post-Witcher 3 world, and CD Projekt RED still hold the championship belt as far as environmental sculpting goes. 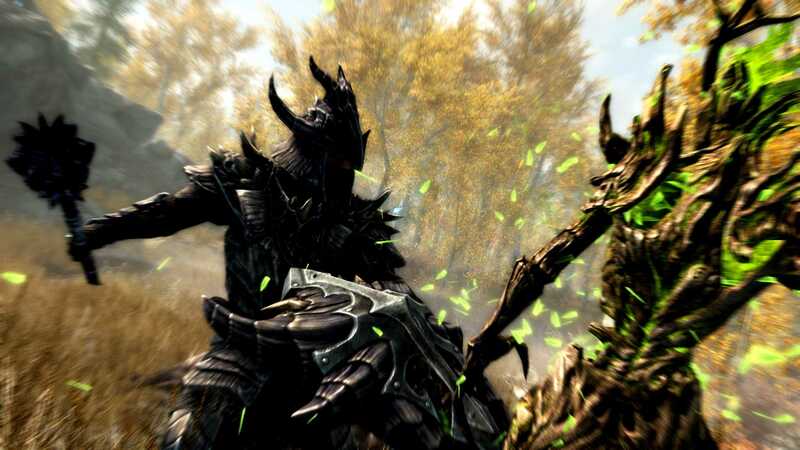 What Skyrim still does better, however, is filling your time with activity. Quest, hunt, explore, get married, build a house, invest in property, slaughter entire villages – it’s up to you how you spend your time in the frozen north, and it’s absolutely worth a repeat visit. Review code provided by publisher (yes, one day before release). Quest, hunt, explore, get married, build a house, invest in property, slaughter entire villages – it’s up to you how you spend your time in the frozen north, and it’s absolutely worth a repeat visit.